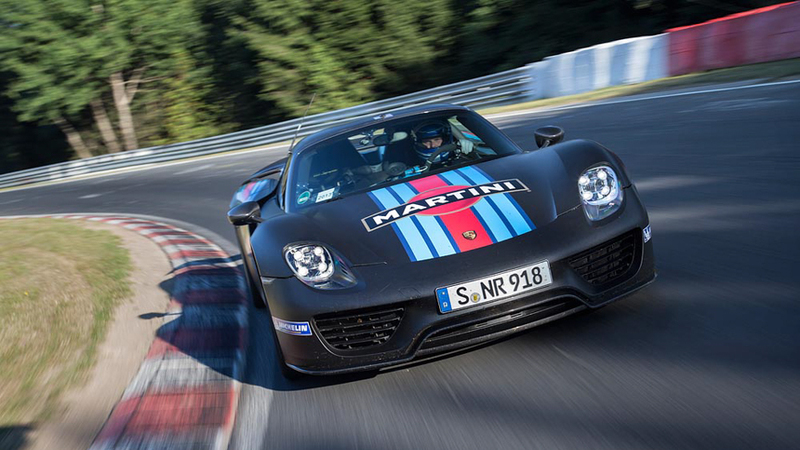 The highly anticipated Porsche 918 Spyder, the first plug-in hybrid by the automaker, will be making its world debut. 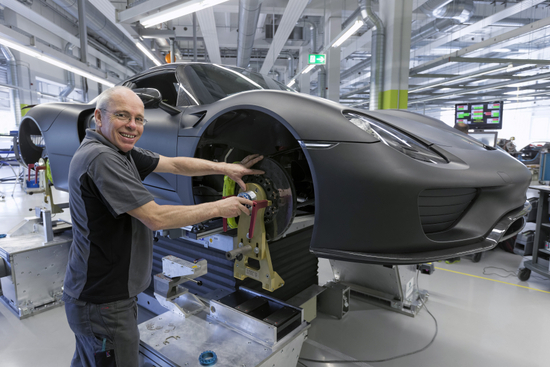 The 918 Spyder has made its rounds at auto shows already but this will be the final production version. A 4.6L V8 engine outputting over 600 horsepower will be paired up with a set of electric motors that produce 155 and 125 horsepower for a combined hybrid power output of over 880 horsepower! 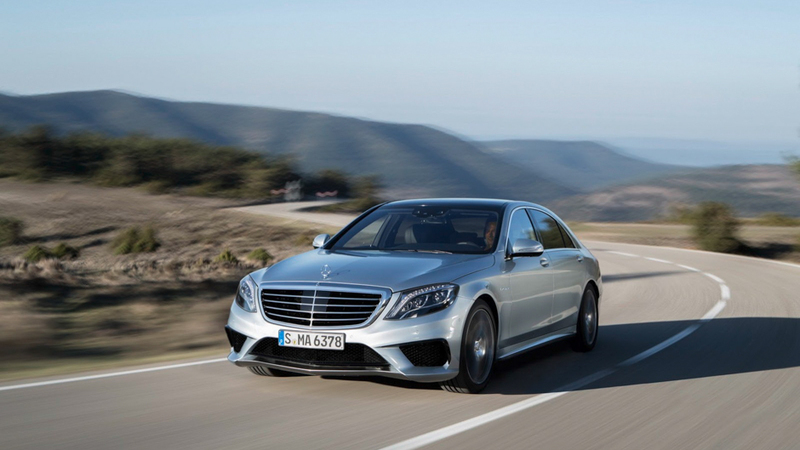 100 km/h arrives from a standstill in just 2.8 seconds and all it’ll take is 3.0L / 100km. For short trips to the grocery store, the 918 Spyder can operate on pure electric power with a range of just over 30km. 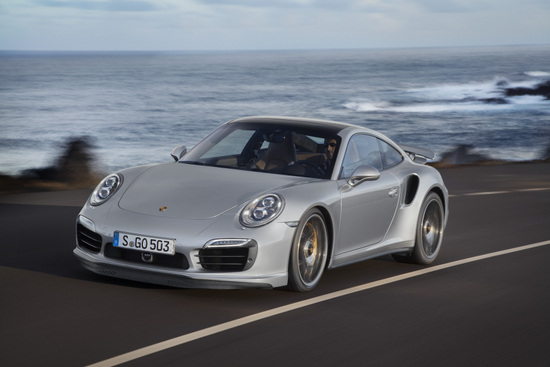 Porsche announced the 911 Turbo and Turbo S earlier this year, but they’ll be making their auto show debut in Frankfurt. To recap, the flagship Turbo S 991 boasts a 560 horsepower twin-turbo powerplant while the “regular” Turbo gets a 520 horsepower mill. One of the big differences with this generation of the 911 Turbo and Turbo S–aside from the new all wheel steering–is the introduction of active aero. 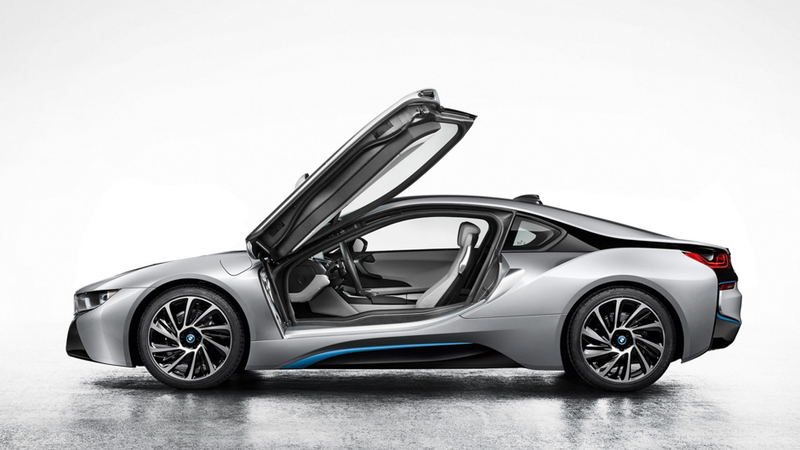 At speeds under 120 km/h, both the front spoiler and rear wing are completely retracted. Those of you with steep driveways will love that as the overhang on the 911 is not very friendly to big curbs or steep driveways. Above 120 km/h the left and right sides of the front spoiler will extend and the rear wing will rise partially to provide extra downforce on both axles. At a touch of a button, the full front spoiler will extend and the rear wing will extend all the way and tilt to 15 degrees for maximum downforce. The system generates over 300 lbs of downforce. 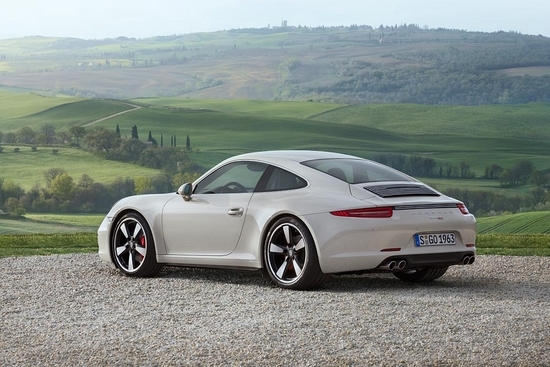 Another improvement for the new 911 Turbo is the markedly improved fuel economy. The Turbo and Turbo S boast a 15% fuel efficiency improvement dropping fuel consumption to a scant 9.6L/100km. The aforementioned all wheel steering system which is standard on both Turbo models was one of the most interesting new features when the new 911 Turbo was announced. Rather than only steering the rear wheels in the opposite direction of the front wheels (below 50km/h) to reduce turning radius, Porsche designed the system to also be able to steer the rear wheels in the same direction as the front wheels (above 80 km/h) which they claim will enhance vehicle stability around corners or on sudden lateral movements like a sudden lane change. 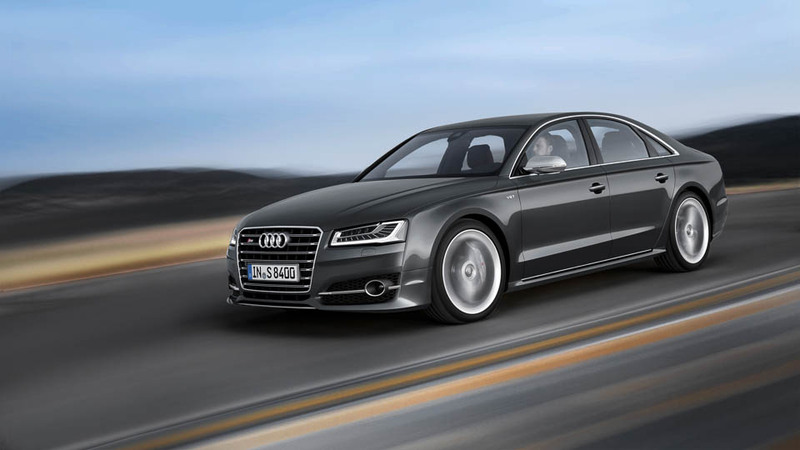 Between 50 and 80 km/h the system will switch between counter-steering and harmonized-steering. The 911 Turbo and Turbo S are hitting dealerships right now and next year the convertible models of these bad boys are due to arrive. Porsche may surprise us by showing off the 911 Turbo Cabriolet next week. Also on hand will be a limited edition 50th Anniversary version of the Carrera S. The 50AE Carrera S gets a 30 horsepower bump and a few cosmetic changes. 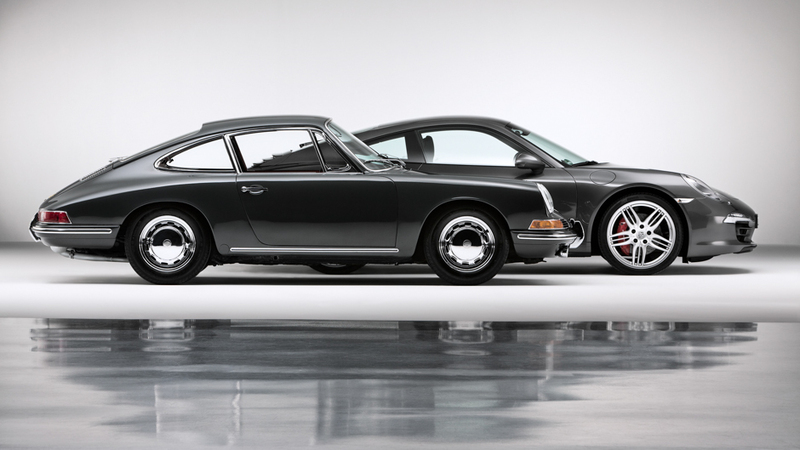 The 50AE gets the wider body from the Carrera 4S, special badges both inside and out, and a special set of 20″ wheels which are a modern take on the classic Fuchs rims. On the inside, the leather front and rear seats feature a woven fabric center with checker pattern that you’ll either love or hate. It will be available in three shades of grey: Geyser Gray Metallic, Graphite Grey and Super Super Dark Grey (Black). Oh, and before I forget. The premium you’ll have to fork over for one of 1963 copies of the 50AE Carrera will be about $30,000 in Canada.